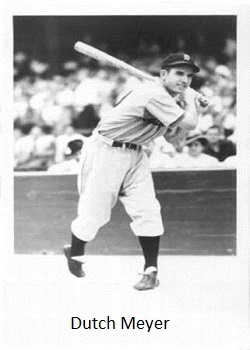 Today's Tiger birthdays: Marc Krauss (28), Randy Bockus (55), Rod Allen (56), Frank Doljack (108, played for Tigers 1930-34, died 1948), Davey Crockett (140, played for Tigers 1901, died 1961). Should we maybe just have a birthday thread that a mod could sticky at the top of the board or something? PS - happy birthday Rod. You're fired. good idea.... although I hope it doesn't get lost. Not sure how this works on tapatalk. From your keyboard to Illitch's ears. 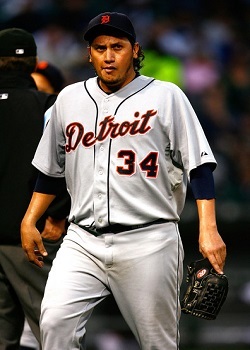 I'm more sentimental than most of you, and I get choked up when I remember the Marc Krauss Era. 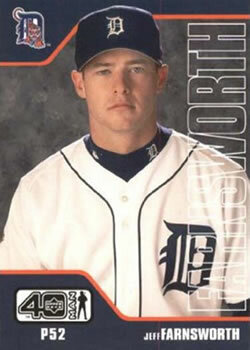 The Marc Krauss era was almost as good as the Jeff Baker era. Jeff Baker, oh gosh the memories just come flooding back. 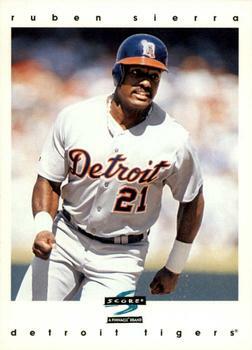 Today's Tiger birthdays (10/6): Freddy Garcia (39), Jeff Farnsworth (40), Ruben Sierra (50), Bruce Fields (55), Roger Weaver (61), Paul Calvert (98, played for Tigers 1950-51, died 1999), Dutch Meyer (100, played for Tigers 1940-42, died 2003), Harry Baumgartner (123, played for Tigers 1920, died 1930), Carl Zamloch (126, played for Tigers 1913, died 1963). 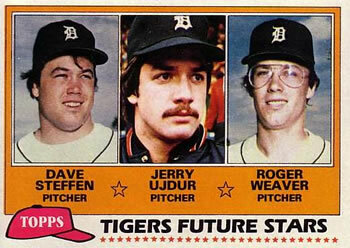 Wherever Roger Weaver is today I hope he's still wearing those enormous clear plastic aviators. I thought Jerry Ujdur was going to be a good one. 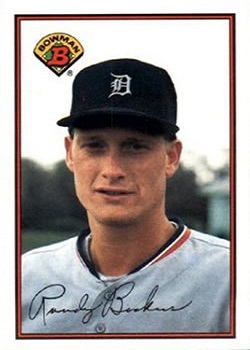 I didn't know about BABIP back then. 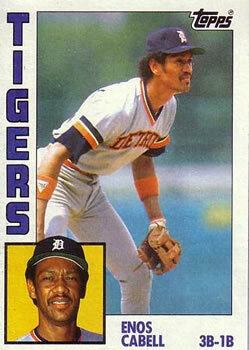 I don't see how it's possible that Jerry Ujdur is on the same rookie card as a guy who is now 61. 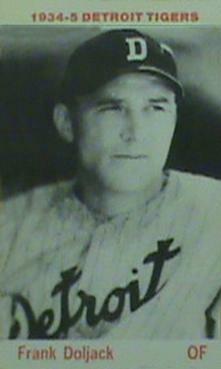 Today's Tiger birthdays (10/7): Milt Cuyler (47), Joe Presko (87, played for Tigers 1957-58). 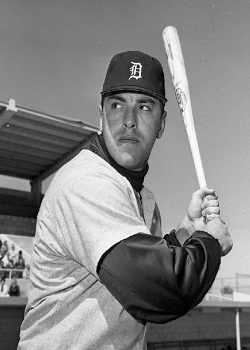 Today's Tiger birthdays: Mike Chris (58), Enos Cabell (66), Don Pepper (72, 4 games in 1966), Bob Gillespie (96, played for Tigers 1944, died 2001), Donie Bush (128, played for Tigers 1908-21, died 1972). God, how I hated Milt Cuyler. 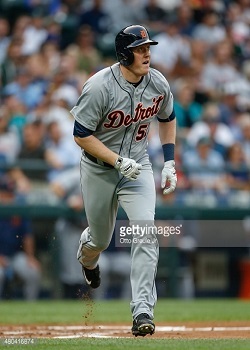 I still remember the Joe Falls' article pumping him up to being the next great Tigers' star. Paul Calvert looks like the kind of guy that all the ladies fought over. 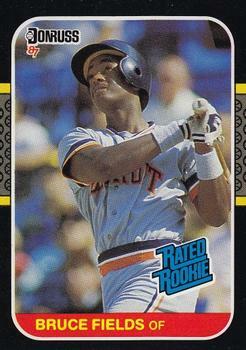 I was at a game in 1994 when he was a double away from the cycle. That 1994 team was my least favorite. Although, from memory, they had a lot of switch hitters. Both catchers switch hit, Tony Phillips, Cuyler, and Junior Felix. So on a given day they could have they could run 4 switch hitters out there. Milt Cuyler was the first autograph I ever got. 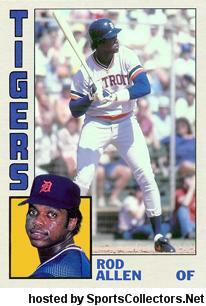 I was probably 7-8 at the time...my dad took me to a baseball card show where Cuyler was signing autographs. 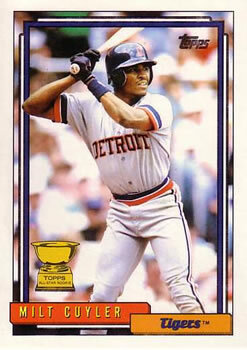 My dad always made me ask the player to sign something for me, rather than just sticking a card in his face. Cuyler was better than a dead guy. 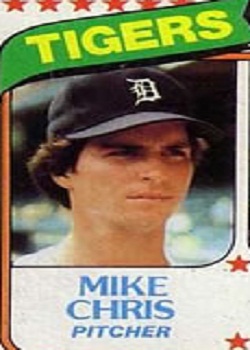 I remember listening to a Tigers game on the Orioles radio station with Jon Miller broadcasting. He called him Kiki Cuyler. 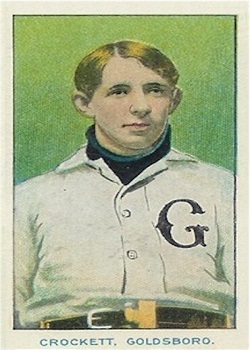 It was such an obvious nickname but it sounded funny when Miller said it. Kiki Cuyler was better dead than Milt was alive. Milt Cuyler was better than a hockey net.